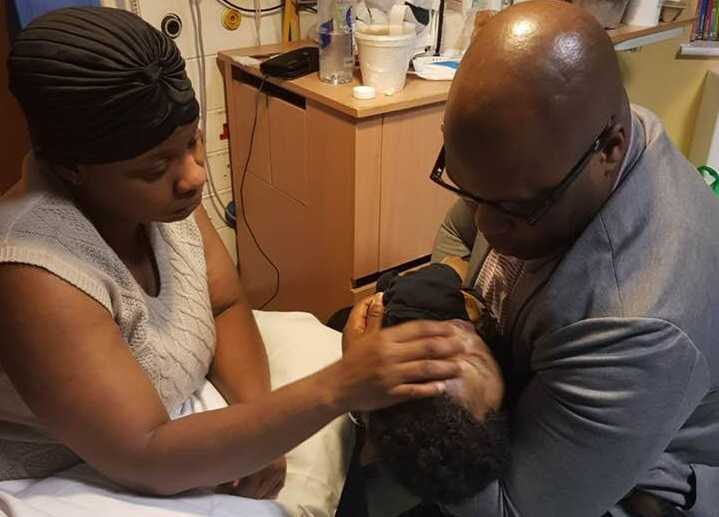 LONDON — The parents of an infant boy in the U.K. are mourning the loss of their son after he died at the end of a harrowing legal battle on Wednesday. Isaiah Haastrup’s life support was removed Wednesday afternoon after an appeal to the European Court of Human Rights was denied. The 12-month-old breathed on his own for seven hours before he died, which his parents opined was proof that the child could have been weaned from the ventilator and didn’t have to die. As previously reported, baby Isaiah suffered brain damage at birth as he was deprived of oxygen due to a 45-minute delay in a Cesarean section after his mother’s uterus ruptured during labor and she lost a significant amount of blood. The infant, who reportedly was found in his mother’s abdominal cavity at the time the Cesarean was finally performed, had no heartbeat and was not breathing when he was removed from the womb, and had to be resuscitated. His parents fault King’s College Hospital in London for his injury. As the months passed, and as doctors believed that life support should be discontinued, Isaiah’s parents took the matter to court. Doctors at King’s College Hospital testified in January that it is “futile, burdensome and not in [the child’s] best interests” to continue treatment. According to the Times & Star, they stated that the infant had a low level of consciousness, did not respond to stimulation and could not breathe on his own. But the child’s mother Takesha Thomas, 36, while acknowledging that her son is significantly disabled, contended that the child was responsive to her touch and voice. Thomas asked that her son be given a chance, advising that she would be willing to care for him around the clock at home. She also said that it should be up to God, not man, to decide when her son’s life ends. Haastrup wanted his son to obtain alternative treatments. However, Justice MacDonald concluded that while he understood the parents’ heart, “it is no longer in Isaiah’s best interest to receive life-sustaining treatment” as he would likely be ventilator dependent and would be severely disabled. “Isaiah’s life is sustained mechanically and without mechanical ventilation he will die. The burden on Isaiah of that irreversible position is a grave one. If kept alive, he will continue to suffer from profound cognitive impairment, extremely severe global motor disability with spastic quadriplegic cerebral palsy. That situation will not change,” he wrote. “Tragically, Isaiah’s profound and irreversible brain injury means that now, and in the future, he will not be able to enjoy any the fundamental benefits that life brings, including but not limited to the experiences of love, human connection to family and friends, development of a sense of identity and belonging and learning about and exploring the world,” MacDonald continued. “I am satisfied on the evidence before the court that to continue life sustaining treatment for Isaiah will not result in his recovery and will condemn him to a life of profoundly limited quality,” MacDonald ruled, stating that it was with “profound sadness” that he believed it best to let the child go. Isaiah’s parents appealed the decision, but attempts to ask the courts to save his life were unsuccessful. Therefore, on Wednesday, the hospital disconnected the child’s life support. His parents, who identify as Pentecostal, experienced feelings of both heartbreak and anger as they looked back at what had just happened.